My father's business, Johnno's Beach Stop, and the neighboring business, Dad's (please visit Dad's Facebook page for updates and ways to support their rebuilding efforts), burned to the ground in the early hours of July 11th, 2018. It's a huge relief to be able to report that no one was hurt. 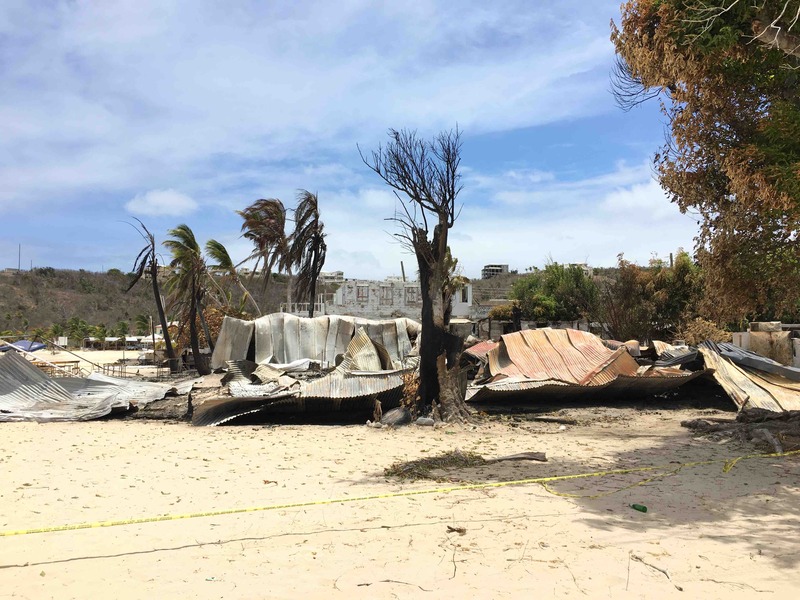 Calls of concern have been pouring in, and we know friends of Johnno's, Sandy Ground and Anguilla are anxious to share love and encouragement, and are looking for ways to help. 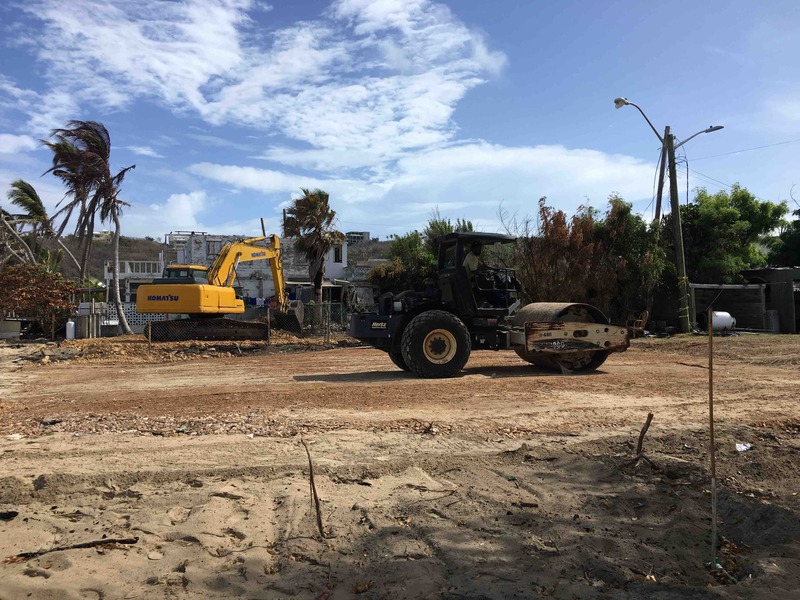 My family and I are mobilizing funds for a rebuild and hope to get Johnno's up and running - both for the long run, and in the very short term (in whatever way), in time for August Monday and Carnival 2018, major annual events in Anguilla. 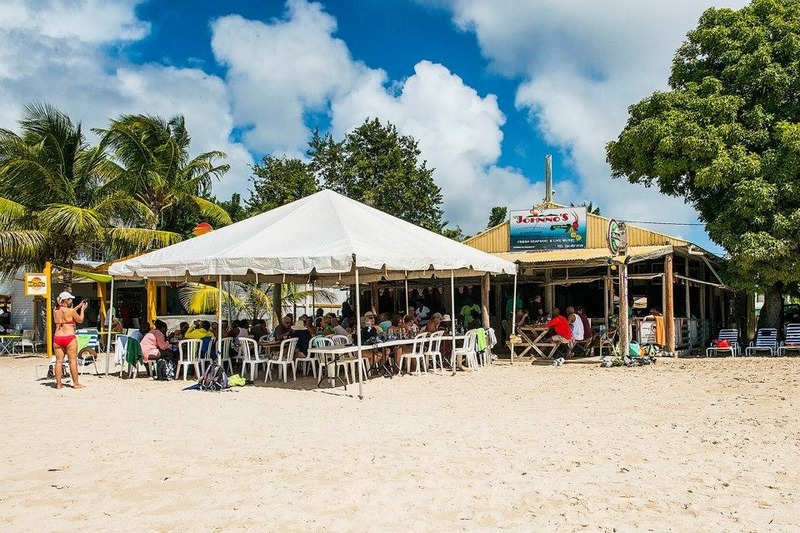 Johnno's was built in 1983 and was the island's first beach bar - it is a true Anguilla landmark. We know hearts are breaking around the world over this news, and we want to do all we can to get Johnno's back in business. If you've known my dad and his business over the years, you know he's consistently been the first to get things going after a disaster. He's always done it on his own, without insurance, but this time he's going to need some help. Please visit the Johnno's Facebook page: @johnnosbeachstop to send your thoughts and good wishes, and to help get the word out about this recovery effort. We are so grateful for your help and support! 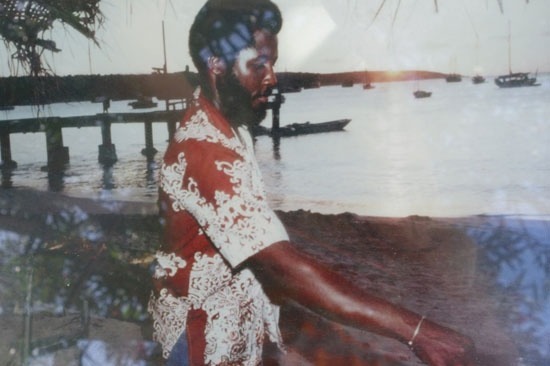 Back in '83 (thanks, Anguilla Beaches, for this pic I remember from when I was 10 years old :-). Here's the Fundraiser info! Hope to see you there!! Sending a Huge Thank You for all the kindness and support pouring in! We are so grateful!! As a result of your donations, we have already raised over $20,000! And with new gifts coming in everyday, we’re feeling very optimistic about reaching our goal of $200,000 for a complete rebuild and re-outfitting. Thank you all so much! 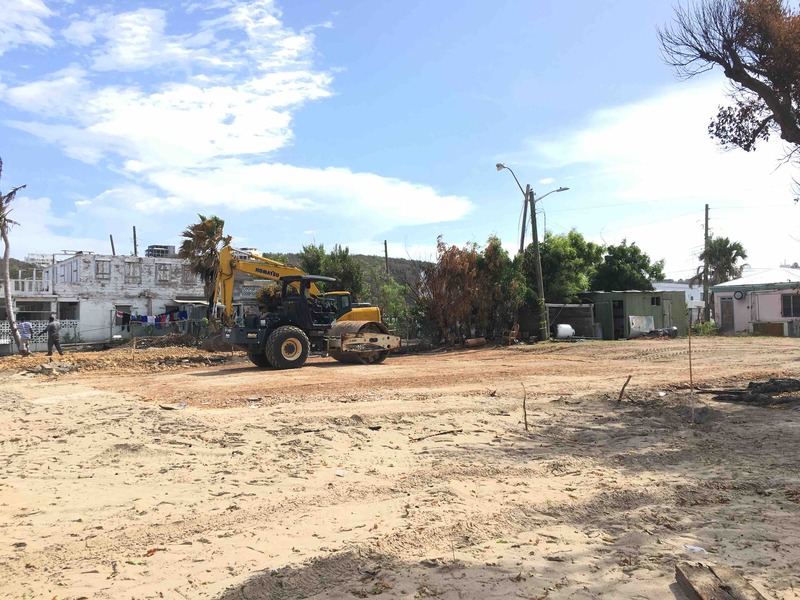 If you've been keeping an eye on the site of the restaurant, you know that as a result of the enormous heart and sheer determination of Greig Hughes – along with his team and supporters, rebuild work at Johnno's and Dad's has been moving right along. It's amazing to see what Greig and crew have achieved in such a short period of time, and we are filled with gratitude. Thank you, Greig!! We are also extremely grateful for the efforts of Anguilla's amazing restaurant community. 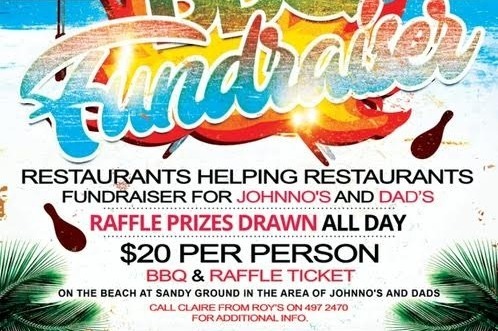 Local restaurants have been working together to organize a fundraiser for Johnno's and Dad's that will take place this Sunday, July 29th at the rebuild site. It's going to be a great, fun-filled afternoon with live music and fabulous food from all the participating restaurants. They've also organized a raffle and silent auction, and the fantastic prizes represent the best of Anguilla's businesses and offerings. Please check out the auction Facebook page at https://www.facebook.com/Rebuild-Johnnos-and-Dads-Auction-2053028001616802/. Scroll through all the auction items to see how much this island's business community cares about each other, and to bid on all the amazing experiences. The generosity of the donations is truly inspiring. Please also come out and enjoy a great afternoon with all these amazing restaurants, bands, businesses and friends of Johnno's and Dad's. It's going to be FUN!!! Huge thank you to Greig’s truckings for helping with the clean up yesterday and today. We appreciate all the support! Thank you so much for all the support that we have been getting. Here is an update on the site, it is currently under investigation.